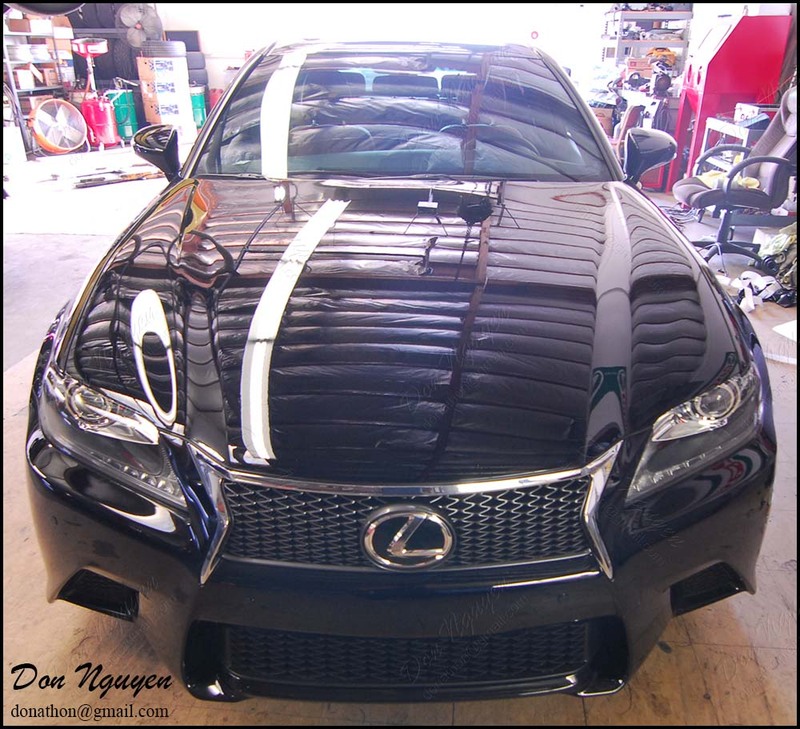 For this black Lexus GS350 sedan, I vinyl wrapped the chrome/brushed aluminum trim around his windows, rear chrome trunk bar and front chrome grill surround in my gloss black vinyl material. We went with gloss black over matte black to have the trim pieces blend in with the rest of the black paint better. The owner of this car was from Orange County as well and drove out to me in Anaheim Hills to get the work. Getting rid of all of the chrome really cleans up the lines of the car quite a bit.